7.30am our car and guide pick you up from hotel. 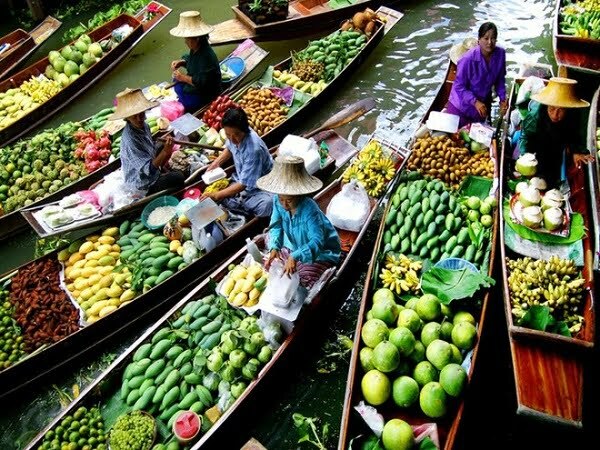 The program will start with a visit of Cai Be colourfull floating market cruiseing among local barges full of fruits and vegretables by the luxury boat of Mekong Travel. Then, an optional stop can be made at local workshops where you can see how rices paste, coconut candy and pop-rice, pop-corn are made. The rowing boat will take you deeper into the countryside on smaller canals and to enjoy the peaceful time. It is so interesting to see traditional houses made of wood and palm tree leaves and see some activities of the local farmers with an apportunity to make contacts with them and see how they catch fish or pick up fruits by ancestral ways in Mekong Delta.. The cruise will end at around 10:30 in Vinh Long town. Back to Sai Gon.